This easy bean dip is made with only five ingredients, and it's an excellent dip for any party or gathering. Serve the dip with vegetables for dipping, tortilla chips, or crackers. I garnished the tip with some chopped fresh cilantro, but thinly sliced green onions would make a nice garnish as well. If you don't have refried beans, make them quickly with a can of pinto beans. See the tips and variations below the recipe. Combine refried beans, cheese, salsa, and cayenne or jalapeno peppers in a medium saucepan. Cook the mixture over medium heat, stirring constantly, for about five minutes or until cheese melts and the mixture is well blended. Cool and garnish with chopped green onions or cilantro, if desired. Cover and refrigerate until serving time. 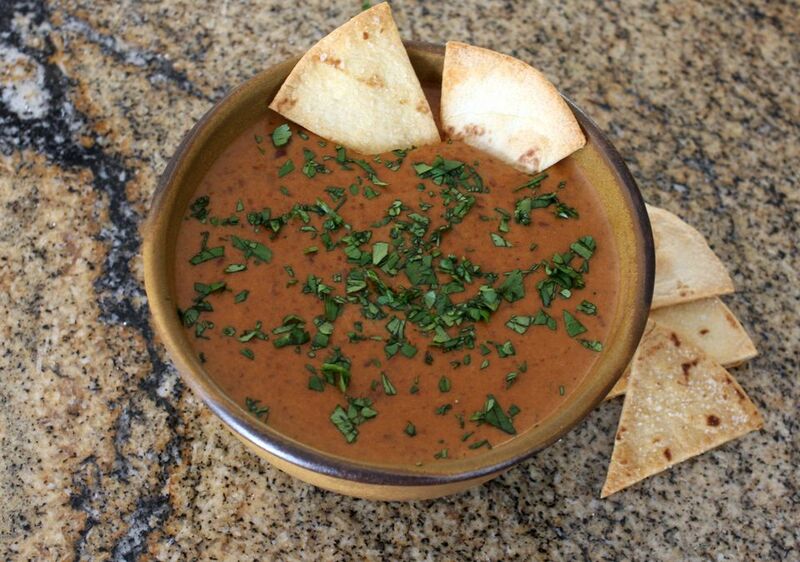 Serve this flavorful dip with tortilla chips, assorted crackers, or vegetable dippers. Baked Bean Dip - Prepare the bean dip (except garnish) and transfer to a small casserole or pie plate. Sprinkle with shredded queso fresco cheese and bake at 375° F for about 10 minutes or until the cheese has melted and the dip is hot. Garnish as desired. Quick Refried Beans - In a skillet over medium heat, cook 1 smashed and minced clove of garlic in about 1 tablespoon of canola oil until lightly browned. Add 1 can (15 ounces) of undrained pinto beans or black beans, 1/2 teaspoon of ground cumin, 1 teaspoon of chili powder, and salt, to taste. Heat for about 4 to 5 minutes. Mash the beans and stir in 1 tablespoon of lime juice if desired.